The first of a small cohort of atmospheric songs I’m writing about called “Winona” — weird how that name was on the minds of Gen-X songwriters in the early 1990s — Matthew Sweet’s song is one of the few songs on Girlfriend bereft of any guitar pyrotechnics, but probably the one the most truly features the sadness that underlies the rest of the record. Were you talking to a friend? 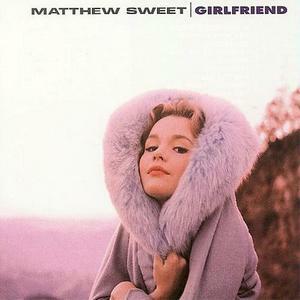 Most of the songs on Girlfriend, go all out with the vocal overdubs, especially on the big choruses, which are often an overdubbed Matthew Sweet being countered or responded to by even more Matthew Sweets, but not so “Winona.” For most of the song, it’s just Sweet alone, with only a harmony overdub on the chorus. Could you be my long lost girl? While the bulk of the song is dominated by the pedal steel guitar, Quine does show up at the very end as support as Sweet laments “I feel alone” a couple of times as the song fades into the sad night.